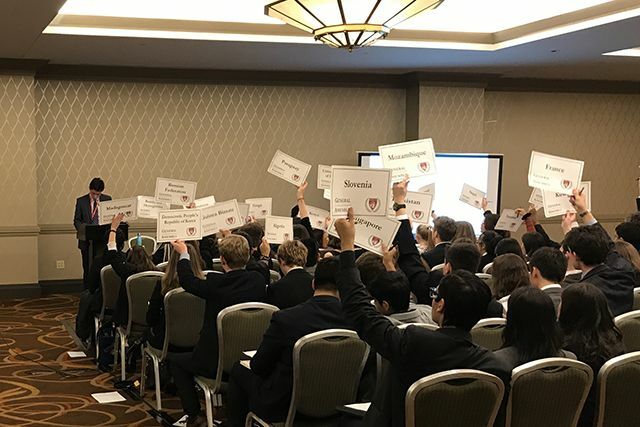 Fourteen members of the Upper School Model United Nations (MUN) club traveled to Boston over the weekend of January 26 to participate in the Harvard Model United Nations Conference (HMUN), held at the Prudential Center. 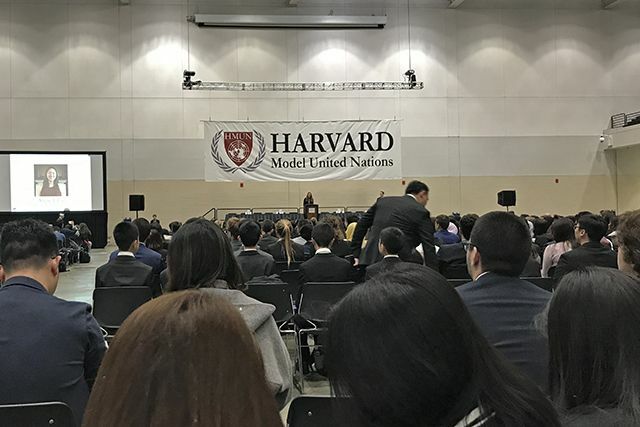 More than 3,300 students from schools all over the world attended HMUN, stepping into the role of international decision makers, negotiating on major international crises, and crafting innovative policy solutions. 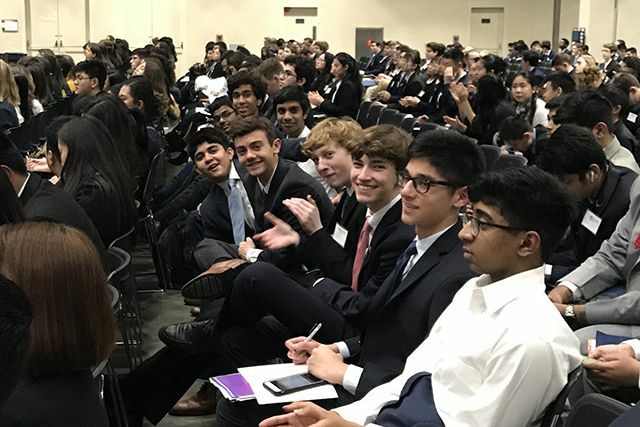 Most of the St. Mark’s students represented the Dominican Republic in various UN General Assembly Committees debating contemporary global problems and issues. Alex Loftus ’20, President of St. Mark’s MUN, also played the role of a Chan Buddhist Monk in a special historical assembly of representatives to the thirteenth-century Mongol Golden Horde. Max Palys ’21 and Jackson Singhal ’20 distinguished themselves as the Dominican Republic’s envoys to the UN Security Council. Harvard University honored them with an “Outstanding Delegation” award for their work addressing the ongoing political and humanitarian crisis in the Democratic Republic of the Congo. 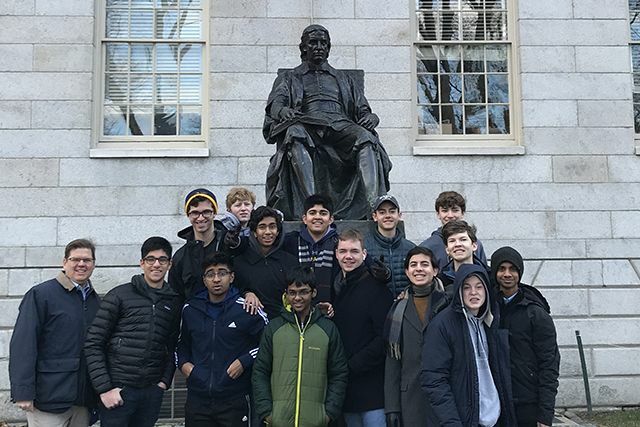 Outside of the Model UN event, Marksmen learned to navigate the Boston-area subway system and used it to visit Harvard University in Cambridge. 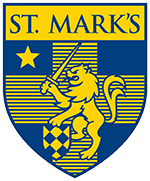 The St. Mark’s MUN club will attend several events in DFW throughout the year and plans to organize another long-distance travel squad to participate in a major university-sponsored MUN event.